Your website is a key lead generating tool for your business. The colour, design, photography and graphical elements must co-ordinate to provide a positive user experience. The goal of a highly converting web design is to inspire visitors to become customers. Ensure your website works proactively for you - to achieve measurable outcomes that contribute meaningfully to your business profitability. A results focussed approach to website design is recommended. A highly converting web design will effectively fulfil a variety of criteria. Above all - the goal is to communicate and connect with your audience and deliver quality throughout. 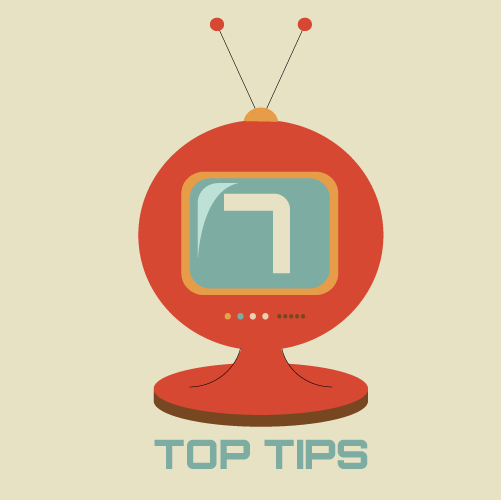 Follow our 7 tips to get the most return on your important website investment. Aim to connect with every site visitor. Make sure your brand message is clear. Showcase your business to your customers - provide understanding and effective solutions. Build trust with testimonials where clients share experiences of working with your company. Remain 'on message' throughout your website via a strategic and co-ordinated use of text, articles, images, videos and contact forms. Increase engagement by offering contact opportunities on every page - not only on the contact page. Have a clear 'journey' you wish to take your website visitors on. Showcase important information and capture attention. Build trust progressively. Aim to continue to conversation and inspire you visitors to reach out and connect. It is recommended to make use of promotional information including product and service details throughout your pages to maximise results. People love information. Make sure your information is relevant, professional and motivating to your customers. While some people may become customers immediately, many people convert slowly over time. Let your prospects know you understand their goals and can help to realise them. Give your visitors the information they need to know your company and services better. Educate and inform. A one to one approach always works best. Above all - make you site easy to use. Your information must be easy to read. Your site must be simple to navigate. Usability is at the heart of every effective web design. Your website should proactively meet the needs of your audience with a 'user centric design'. Engagement and ease of use are key features here. 'Below the fold' is a term that refers to website content that requires scrolling to be viewed. Numerous studies have confirmed that people will scroll - if the web content is interesting or relevant to them. The best advice is to ensure a website that offers the user a quality experience with genuine information. Deliver a total user experience designed to service your customers and prospects. A blog is a great tool for building trust. Work to maintain your blog as much as possible. It can be challenging to find the time each day - however, 30 minutes per day blogging is a substantial investment that will yield returns over time. Blogging is a key tool for both seo and sharing niche information. It gives your website visitors a chance to know more about you, your services and products. Proactively building trust is a key feature of every highly converting web design. At the end of the day, every business exists to serve their customers. Provide value, share knowledge and deliver service - to succeed online. Use your website to connect with your customers and communicate in a memorable way that sets you apart from your competitors. Do you need a highly converting website? Roundhouse has been servicing businesses in Brisbane and at the Gold Coast Queensland for over 10 years. 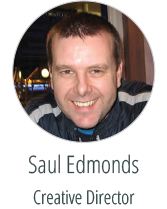 Creative director Saul Edmonds has over 20 years professional design experience. We are dedicated to delivering strategic web designs with a high ROI. We work to understand you, your business and your customers and tailor a unique website to your specifications. If your website is a few years old, why not consider an update. Take advantage of mobile technology and get a website that bring in leads across all platforms, including mobile. New identity we’ve created for creative city … stay tuned for CC in 2012 ! Electro-pop duo Garcon Garcon have just released their debut music video for ‘Stay in Touch’. The long awaited vid didnt dissapoint with superb direction by alex goddard. Check out Garcon Garcon’s Debut Single ‘STAY IN TOUCH’, well worth a listen .. and even a dance ! Our good friend Stuart Pridham is abroad, taking audio snapshots of events as they unfold. The first of these he sent us is from Nako in eastern Himachal Pradesh. In his words: The first recording was ‘a funny thing happened to me on the way to a shamanic ceremony’. The second recording was of a lama at midday prayers in Key Monastery in the eastern Himacal Pradesh not far from the Tibetan border. A happy bunch of monks here, and the prayer songs were wonderful.